Management - Capitol Advisors Group, LLC. The role of the superintendent may be one of the most complex and solitary of positions in a California school district. Capitol Advisors can play a vital role in providing insight, information, and coaching/mentoring for superintendents and their management teams. The key is local context: regardless of whatever state-directed policy is expected to be implemented and managed, the superintendent must lead and implement through a prism made up of the complexities of the culture of his/her school district, the populations served, the history of the school district, and the dynamics of the community in which the school district is located. The team at Capitol Advisors Group provides support service designed specifically for superintendents and management teams to assist in navigating their local context. These services and processes are delivered on the ground, side-by-side with the superintendent and/or management team in a relational structure, custom designed to meet the needs of new, mid career, and veteran superintendents. Marc Winger was superintendent of the Newhall School District for almost 20 years and over his 40 year career he served as a teacher and administrator in three southern California school districts. During Winger’s tenure as superintendent he cultivated a collaborative culture built on the development of human capital and sound fiscal planning. Newhall’s ten diverse elementary schools, half with large numbers of English Language Learners and students living in poverty, consistently received state and federal recognition for excellence. He planned and executed two bond campaigns, supervised the funding and building of three schools and negotiated a full mitigation agreement for the 20,000 home Newhall Ranch development. Winger was a long time member of the Association of California School Administrators (ACSA) Superintendency Council, and served as a board member for the School Employers Association of California (SEAC). In 2015 he was awarded ACSA’s highest honor, the Ferd Kiesel Memorial Distinguished Service Award. Winger graduated from the University of California, Berkeley with a BA degree in history, and received his master’s and doctorate degrees from the University of California, Los Angeles. Winger’s work with Capitol Advisors focuses on support of the superintendent. Joel Shawn's career in public education spans nearly four decades. He served nine years as the Superintendent and Deputy Superintendent of the Arcadia Unified School District where his focus was to ensure that every student received a value-added education. A strong advocate for collaborative, interest-based leadership, Joel led Arcadia through the fiscal crisis and as a result of a close working relationship with the districts' bargaining units, avoided the deep cuts to staff and programs experienced by many districts in California. Joel also served as the Assistant Superintendent of Instruction for the Monrovia School District. From his positions in the Los Angeles County Office of Education he led the statewide Southern California Center for School Restructuring, supporting 144 schools which received SB1274 grants. Joel received his doctorate in education from the University of Southern California and has masters' degrees in school administration and special education from California State Universities at Los Angeles and Northridge. Joel's current work with Capitol Advisors focuses on coaching and mentoring new Superintendents and school district executive staff. Mark Skvarna has more than 25 years of experience in K12 education, including 13 years as Superintendent of Baldwin Park USD. In addition to his experience as a superintendent, Mr. Skvarna also has an extensive track record as Deputy Superintendent of Business Services at the district and county levels, most recently concluding service as the Chief Business Official for the Santa Clara County Office of Education. Mark is also known for his knowledge and expertise in school facilities construction issues having been a district Director of Facilities, and was a certified inspector by the Division of the State Architect (DSA). He also served as Chief of School Police. In 2013, while serving as Superintendent at Baldwin Park USD, Education Trust West noted, out of the largest 148 unified school districts in California, Baldwin Park USD was ranked no. 1 for closing the achievement gap for students in poverty, English Language Learners and African Americans. This accomplishment was echoed by State School Superintendent, Tom Torlakson, who stated Baldwin Park USD was the best in the state for closing the achievement gap. During Mr. Skvarna’s 25 years of service to public education, he has passed three school bonds and managed hundreds of millions in school construction funding. Mr. Skvarna is a member of the Association of California School Administrators (ACSA), California Association of School Business Officials (CASBO), International Association of Chiefs of Police (IACP), Southern California Superintendents, active and honorary member since 2009. His education includes a Bachelor of Science in Aeronautical Engineering, a Masters of Science in Strategic Leadership and a Doctoral Degree in Business. 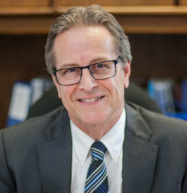 ​The foundation of Richard Tauer's 40 years of experience in education includes elementary, middle school, adult education and university graduate level teaching, school principal, district personnel administration, and culminating as Superintendent of Westminster School District. In that capacity, Richard provided the solid and stable leadership necessary to successfully navigate the district through the most challenging of fiscal times, while continually making significant progress in student achievement. Richard earned his undergraduate, credentials and Master Degree in Educational Leadership at California State University, Los Angeles, where he later taught numerous graduate level classes in Education Leadership, Personnel Management, and School Business. Mr. Tauer received many awards throughout his career including Administrator of the Year awards at both local and regional levels of Association of California School Administrators, ACSA's state-recognized newsletter award for Region XV, as well as three PTA Council recognition awards during his career. Richard is a member of American Association of School Administrators, the Association of California School Administrators. Richard continues to follow his passion for supporting and improving education systems, particularly in areas of leadership, governance, human resources and development as well as team-building. Since his retirement in 2014, he has continued to serve as Director of the ACSA Personnel Academy. Additionally, his involvement continues as mentor/coach for numerous administrators, human resources consultant, executive recruitment and leadership development, designing and presenting workshops for numerous districts, including Board/Superintendent goal-setting and evaluations. Richard enjoys continuing his work in a consulting role because it provides him with the opportunity to continue to make a positive difference, by working with outstanding educational leaders, all while giving back to the profession that he enjoyed for 40 years.